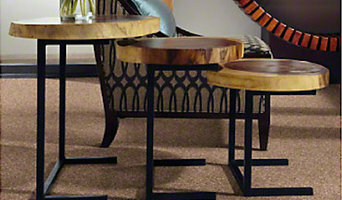 *Authorized Shaw Flooring Dealer* Morinville Flooring has been in business for over 18 years. We do our very best to give each customer a great experience when it comes to new floor coverings by providing great products with timely friendly service. We offer estimates free of charge with no obligation and are always here to answer any questions a consumer has. We have always taken pride in doing things the right way — we never cut corners and want to give the end consumer the best product and installation to suit their needs. Morinville Flooring opened its doors in the spring of 1998. We get a lot of return customer and great referrals because of our honestly and service. We try to educate every customer that walks through our door to help them make their decision on floor coverings to suit their needs. We are very flexible with our service — we have some of the best staff and installers and will work day, night, evening, or weekend to suits our customers' best needs. Yeg Carpet Cleaning, a company that was established out of a desire to provide a professional carpet cleaning service to the residents of Edmonton and the nearby areas. We specialize in residential and commercial carpet cleaning, including taking care of your upholstery and area rugs. Nufloors has been serving Grande Prairie and the surrounding area since 2003. Owner Dan Bergsma is a long-time resident of Grande Prairie and has 17+ years of experience in the floorcovering business. Dan and the Nufloors team take pride in delivering top notch customer service and satisfaction in all aspects of flooring, from residential to commercial projects. We also offer a Nufloors Outlet store, just 2 doors down from the main Nufloors store, which features the largest selection of area rugs in the North Peace with more than 500 area rugs in stock to choose from. Our Nufloors Outlet store also offers cash and carry inventory for laminate, Carpet, Lino, Hardwood & Vinyl Plank. Our staff is experienced, knowledgeable, respectful and will provide you with advice that is right for you and your home and family needs. We look forward to helping you with your next flooring project.